Maserati has always been like the Ralph Schumacher of the automotive world - glamorous in his own right but always taking a back seat to Ferrari as part of the Fiat Automotive group. 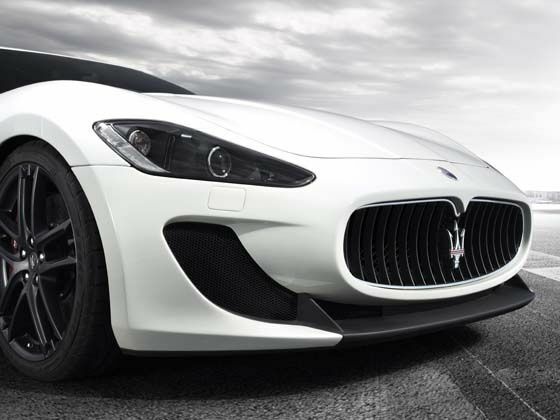 With the GranTurismo MC Stradale, Maserati's sportiest model in its current line-up, the brand with the trident badge takes a big step towards endearing itself to enthusiasts who want a car that can balance track duties with daily driving activities. 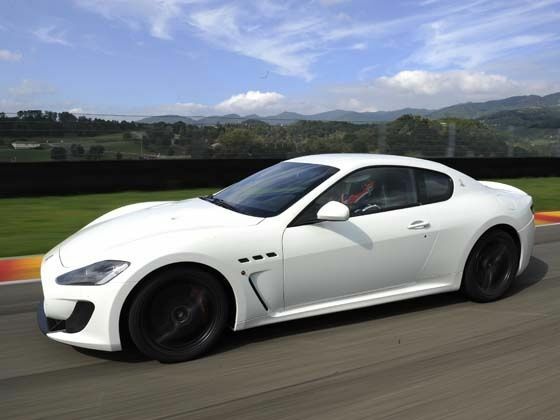 The MC Stradale is much more than just a GranTurismo S with an extra 10hp and 20Nm. The car is an astonishing 100kg plus lighter, thanks to various weight-saving measures such as the removal of sound insulation (-25kg), carbon ceramic brake discs (-18kg), and carbon fibre race seats (-26kg). 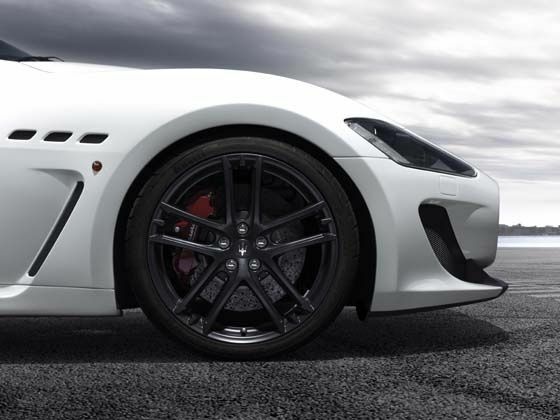 The MC Stradale is inspired by the Trofeo GranTurismo MC, but it needed to be modified in order to become road legal. 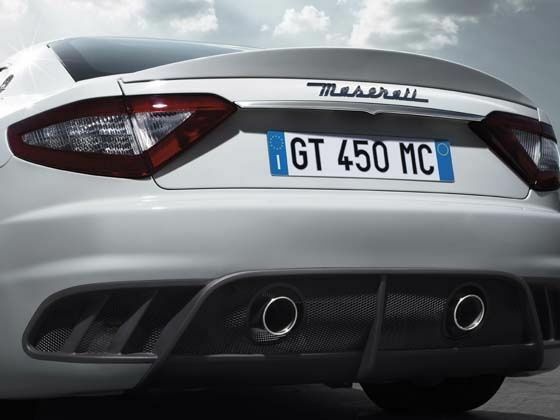 For that Maserati needed a car with great aerodynamic downforce at high speed without creating more drag, even while it is diverting airflow into effectively cooling its brakes. So, the MC Stradale has received a new front splitter and a redesigned rear bumper that adds 48mm to the total length, while the front splitter, side skirts and the front guard panels all combine as one unit in order to push the nose of the car down at high speed, to cool the brakes, extract the hot air from the braking system and to provide downforce along the length of the car. Also, the car gets two hot air extraction outlets in the bonnet and the rear bumper has also been re-profiled, with the exhausts emerging closer to the centre of the car. The entire look is completed by a new set of flow-formed 20-inch wheels. The interior also needed to be adapted for a high performance sports car. The shell seats are made in carbon fibre combined with hi-tech padding and materials and a Trident logo stitched into the headrests. But the most impressive feature with the new MC Stradale is the Human-Machine Interface that allows driver to change the driving mode. The car will start in Auto mode, but there is also a Sport and a Race mode. 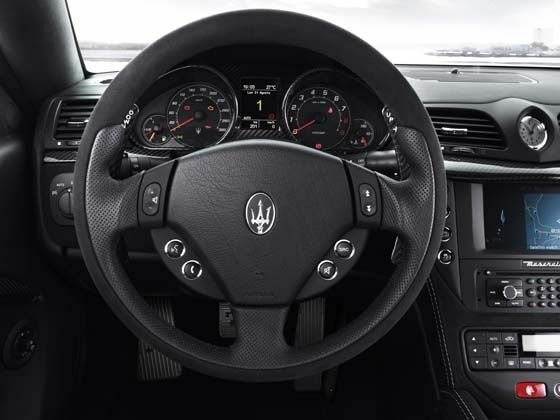 The instrument clusters have received the traditional Maserati blue background colour, the pedals are made in aluminium, while Alcantara is used to trim the centre console, the armrest lid, the door armrests and handles and the curve above the instrument cluster. This lighter, more focused MC Stradale goes 0 to 100km/h in just 4.6 seconds and is the first volume production Maserati to break the 300km/h barrier. Changes to the aerodynamic efficiency of the car results in a whopping 25 per cent front and 50 per cent rear increase of downforce at 200km/h without any drag penalty. 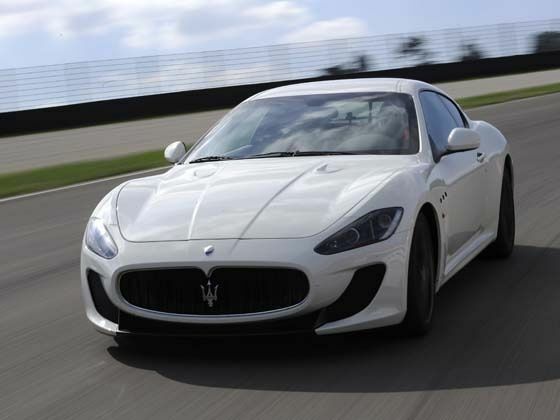 When the car was unleashed on the Shanghai International Circuit under Maserati’s Deep Passion Cup track day program, its weight reduction and keener response were apparent. Turn-in is sharper with less understeer. The 1,670kg car also makes it response for better for throttle input. Lifting off on the decreasing radius curves helps the front end bite in a lot more. The 4.7-litre all-alloy V8 giving it 440hp in standard trim so the additional 10hp in the MC Stradale cannot really be felt but the 60-millisecond gear change certainly can. There are three gear-change speeds - from the brutish 60ms in Race, to 100ms in Sport and 140ms in Auto. When the driver holds the left downshift paddle while braking, the car will keep changing down gears at exactly the right moment as speed bleeds off. Very useful when braking hard from a high-speed section onto a slow corner such as Turn 2 of the Shanghai F1 circuit. Great post!! nice pics of car..looking very good...thanks for providing all information and features releated to this car...really thanks for sharing..
Nice post..all the stuff that you provide are really good..thanks for sharing..